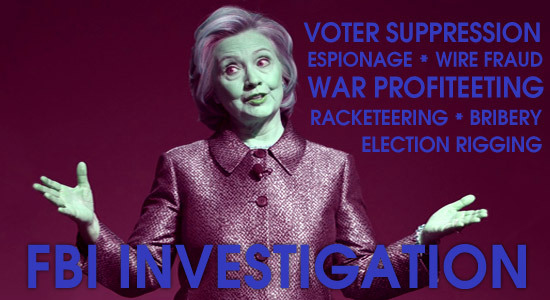 Given the fact that nobody really knows what’s in Julian Assange’s upcoming Wikileak release of Hillary Clinton’s email server, the fact that the FBI still has not indicted Clinton on espionage charges, and the fact that there’s multiple lawsuits targeting Clinton in the works regarding her role in voter suppression throughout the Democratic primary, there really isn’t any reason to believe that nothing will happen and Hillary will simply continue on as the nominee after July 25th. That being said, the system *IS* rigged in Hillary’s favor to be the presidential nominee in the Democratic party. She had over 400 superdelegates on her side over a year ago before the primary even started, has every mainstream media outlet and Wall St. on her side, and she’s been brushing off allegations against her as “conspiracy theories” for decades already. There’s no reason to believe that she can’t come out on top, at least as the Democratic nominee, which leaves Bernie Sanders with only about two feasible options left: Run as an Independent or on the Green party ticket with Jill Stein.